Finally I decide to begin my first English in my Blog, hmm where’s I should started, hmm let me thinking first.. oh yea… I remember now, I’m going to review one of my favorite stuff..hehe.. Can you guest what’s that? Ding dong, time’s up and I think u got wrong answer, the true answer is eng ing eng my Acer laptop with series 5570z. yeah, very cool laptop, with the metallic shine color, it’s very nice and eye catching. I bought this laptop about a years ago, and till now there is no problem with it. 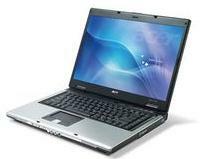 Below I put the whole specification for Acer 5570z. I got some minus when using this laptop, when first time i decide to bought 5570z, there was no CD driver include, the shop keeper said that you can make my own driver using empowering software that include in this laptop, another things is speaker volume, it’s pretty small so i need to use my headphone to get more loud volume. Other side 5570z has cool color, nice screen, and complete with windows vista so you don’t need to buy the OS software. I usually use this laptop for writing blog, editing photo, browsing, watching movie, listening MP3 and my last comment my 5570z is very awesome. Hehe. Yea you must have it one. Ciao.